Coal is 66% of China’s total energy consumption leading China to be one of the largest greenhouse gas emitters in the world. In a recent journal article, Xiaoxia Zhou explains how China’s growing economy, urbanization, and industrialization come at the steep cost of environmental pollution and the exhaustion of China’s natural resources. Researchers, policy makers, scientists, and politics in China are scrambling to find a solution to these problems. They are making progress. China’s energy development plan states that by 2020 their non-fossil energy will rise from it’s current 9.8% to 15% (Guo, 2016). The question up for debate now is how? Outsiders suggest they should just go green and follow in the footsteps of other countries, but I think China is worried about a different kind of green. China is a coal-resourced based economy. They are focused on what clean energy will look like for their economy. The big question that Pibin Guo addresses in his article is “How does a coal resource-based economy transition to a sustainable economy?” Some researchers and policymakers have suggested clean coal technology and giving a positive connotation to coal. Guo says that China should accelerate their development of clean energy like natural gas, nuclear power, and renewable energy (Guo, 2016). Other suggestions have focused on policy and regulation changes. Many have also suggested the initiation and inclusion of more energy technology innovation. 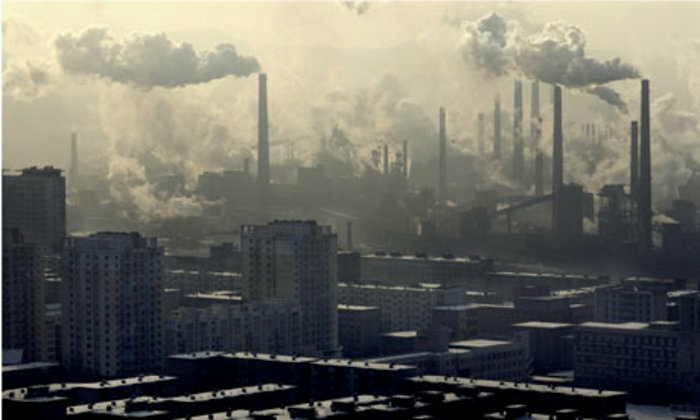 A few have suggested that China invest in clean coal technology. Something that all have agreed on is that the transition from a coal resource economy to a sustainable economy will also be a cultural and social transition. Zhou stated that it will require an environmental transition socially and politically. Policies and regulations for clean energy in China are on the way but this transition must also include individuals awareness of environmental quality and what Zhou calls a low carbon life. Guo, Pibin, Ting Wang, Dan Li, and Xijun Zhou. “How Energy Technology Innovation Affects Transition of Coal Resource-based Economy in China.” Energy Policy 92 (2016): 1-6. Web. Zhou, Xiaoxiao, and Chao Feng. “The Impact of Environmental Regulation on Fossil Energy Consumption in China: Direct and Indirect Effects.” The Impact of Environmental Regulation on Fossil Energy Consumption in China: Direct and Indirect Effects. Journal of Cleaner Production, 27 Oct. 2016. This entry was posted in Coal, Dominique Curtis and tagged China, Coal, Energy Technology Innovation, Environmental Regulation, Pibin Guo, Resource-based Economy, Sustainability, Transition, Xiaoxia Zhou by Emil Morhardt. Bookmark the permalink.